What obstructs the implementation in Lithuania of the system that earned the success for Toyota manufacturing plants? 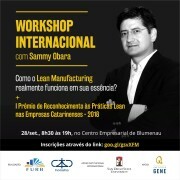 Familiar with the Lean management system (better known as the Lean method) since the age of 17, Sammy Obara, managing director of Honsha, constantly visits Lithuania and helps the local companies to implement the famous management system, developed by Toyota. Yet the specialist agrees that the business culture is still a problem when implementing this method in Lithuania. The Lean method in manufacturing companies originated in Japan and was known as the Toyota Management System. It was this car manufacturer that succeeded in improving its manufacturing process management by developing its own management system. 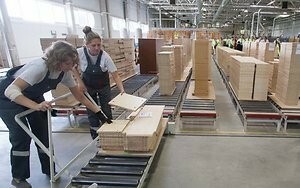 Lithuanian companies have also become keen on adopting it. However, is it possible for a Japanese company management method, oriented towards low costs and high productivity, to be smoothly implemented in the Lithuanian business environment? 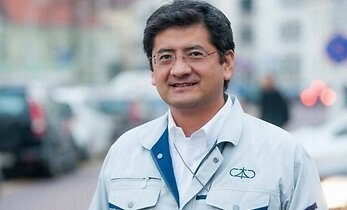 S. Obara, who is now consulting Lithuanian companies, became familiar with the Lean system while being a teenager. The youngster got a position as a trainee and was sent to Japan to learn the Toyota Management System. Later, S. Obara was offered a job in a new Toyota manufacturing plant in Venezuela. After that, he worked in Brazil. The consultant, residing in the USA, made his first visit to Lithuania 4 years ago. He worked with the company Mars Lietuva at that time. S. Obara said that European minded people, able to boast a good education, surprised him in Lithuania. The expert of the Lean system worked with some 10 companies in Lithuania. In the near future it is projected to implement the Lean system when cooperating with the governmental institutions of Lithuania. S. Obara has experience in implementing the Toyota system in the public sector in the USA, East Timor and Brazil. When asked about the business environment of the former Soviet Union countries, S. Obara noticed that the employees of local companies seemed obedient, avoiding opposition and refraining from expressing their own opinion at first; however, the progress in this field is already visible in Lithuania. The companies that follow the Lean method are particularly determined to implement the importance of employees’ proposals, ideas and solutions. Although the Lean system helps the companies to cut unnecessary costs and make their activities more efficient, it is still being criticized due to the stress brought to the employees, resulting from the introduction of changes in the company. S. Obara claims that employees will never avoid stress, but it is important to choose the type of the stress to be felt. Of course, people are afraid of losing their jobs. We can talk about two types of stress here. The first one is the stress that is felt when the company wants to avoid losses and unprofitable activity. This requires a huge load of work and the stress is felt accordingly. Another type of stress emerges when nothing is being done and it is preferred to stay in the comfort zone. In this case people are afraid to lose their jobs because the company is becoming increasingly less productive and sooner or later redundancy becomes a real threat. Thus it is much better to direct the stress towards the improvement of the work environment and productivity, maintained S. Obara. Can it be that while devoting all its energy towards the reduction of its losses or ineffective activity, a company gives up its opportunities to invest and experiment into a possible future success? This method (Lean – ed.) allows the achievement of growth without hiring additional staff. For example, if a company will need 20 per cent less employees for the manufacturing of a product, it can direct these capacities towards enhancing sales. This system is good when companies want to grow, but it does not suit, when the only wish is just to get rid of employees, S. Obara said. According to the consultant, successful leadership and employee’s inclusion into the process of making the company more effective are prerequisites of good implementation of the system. Associate Professor at the ISM University of Management and Economics Dr Vytautas Būda, whose field of interest is lean management, said that the cultural environment becomes the main obstacle when implementing the Lean system in Lithuania. Based on Hofstede’s cultural dimensions survey, the society of Lithuania is a hierarchical patriarchal one. This means that our managers do not risk asking the opinion of subordinates, the latter waits for orders from above and avoids expressing the dissatisfaction, while the managers accept the proposals for development as personal criticism, he commented. According to the Associate Professor, the key structure of the Lean system is not only the horizontal cooperation but the vertical one as well. In Japanese it is called “genchi gembutsu”, i.e. if a problem arises at the machine-tools in the manufacturing shop, it must be solved right there. Cultural differences in the companies may be illustrated by the number of development proposals from one employee. In manufacturing plants in Japan this number is 62 proposals from one employee, in Japanese manufacturing plants located in the USA this number is 1.4, while in American or European manufacturing plant this number is only 0.4. Therefore, when wishing to implement the Lean management system, managers must commit to transferring to subordinate levels not only a part of their responsibility, but the powers as well, and to realize that the problems are best seen by those, who directly work at the machine-tools, V. Būda explained. When asked to comment on shortcomings of the Lean system, Associate Professor at the University of Vilnius Faculty of Economics Dr Dalius Serafinas also stressed the cultural differences. The system originates from Japan. The culture is different there. It is a stable culture and one does not need to persuade managers on the importance of effectiveness, employees’ motivation, the submission of their proposals and the ability of managers to be leaders, he said. According to the lecturer at the university, the lack of basic environment (reporting, accountability) obstructs the implementation of the Lean system in Lithuanian companies very often. D. Serafinas underlined, that too little attention is paid to the employees in some companies of the country, as it is thought that the manager knows everything and thus the processes are not coordinated with the employees sufficiently enough.